This state-of-the-art under sink RO system was designed with the most modern materials and technologies to produce a truly affordable and reliable water treatment device. The technology in all RO drinking water systems not only removes impurities but beneficial elements as well. Our alkaline RO comes with fourteen stages of filtration. 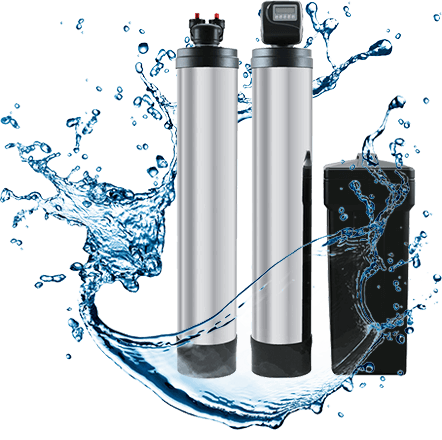 Four typical RO filters and a special ten stage alkaline filter remove unwanted contaminants and add beneficial minerals back into the water, bringing the alkalinity up to around 8-10Ph which gives the water a sweet, slightly mineral taste. The sediment filter is an initial filter designed to remove sand silt, dirt and other sediment before treatment of the water, and also removes any rust and calcium chloride. GAC Pre-Filter specially designed to remove/reduce many volatile organic chemicals (VOC), pesticides and herbicides, as well as chlorine, benzene, trihalomethane (THM) compounds, radon, solvents and hundreds of other man-made chemicals found in tap water. 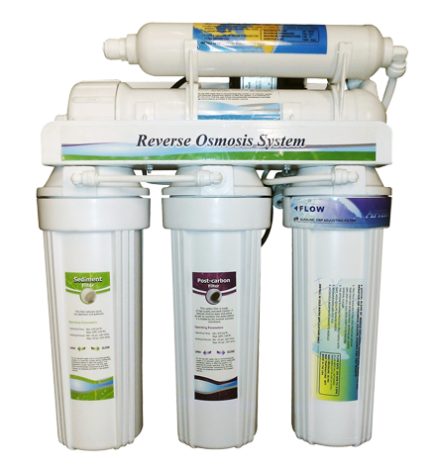 The reverse osmosis membrane is the heart of the system. This is where any additional dissolved solids are filtered out at the molecular level. Salt and other undesirable molecules are removed at this stage. Our membranes come at water treating rates of 18, 24, 36, 50, 75, and 100 gallons per day (GPD). The carbon block filter is an extruded filter made from powdered activated carbon combined with a binder, creating a very dense filter of activated carbon. 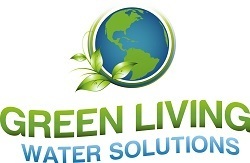 This is responsible for ensuring that the water is completely filtered and has a great taste, odor and no chlorine. The 10 stage Aptera alkaline / remineralization filter adds beneficial minerals back into the water giving the water a sweet, slightly mineral taste. Quartz, CalCor, Tourmaline, Negative Ion, Pi Ceramic, Super Ceramic, Almandine, Garnet, KDF-Redox, and final polishing change your slightly acidic RO water into a high pH mineral enhanced water. Our alkaline RO is covered by a 5 year MANUFACTURERS warranty. Warranty does not include filter replacement, membrane or labor charges.